"If you want craft cocktails and great comfort food with a speakeasy feel, this is your place!" A LITTE BIT ABOUT US..
Smith & Kings is conveniently located on the corner of Smith Street and King Street in downtown, Honolulu. Here we're known for bringing the fresh ingredients to you! From hand crafted Farm-to-Table Cocktails to a Scratch kitchen, we make everything in house. You won't find any microwaves in our kitchen, even our French Fries are hand cut! Experiencing fresh, full flavors from our recipes is of the upmost importance to us. When you walk through our doors, you'll notice a casual establishment, so please feel welcomed to seat yourself. Got a large party? No problem! Smith & Kings is known for tending to large size parties, so come one, come all!. We’re also known for displaying Bob Ross painting videos at all times to please all your senses. (I Bet you’ll stare.) Kitchen open until 1 AM every Friday and Saturday night. If you haven't given us a chance to meet your needs yet, then we hope to see you soon! Voted best Happy Hour by Super CW Awards 2017! Grab a table and enjoy the most affordable food and beverages in town 2:00pm-6:00pm. Starting at 2 PM you can enjoy an array of choices, from $7 Pulled Pork Sandwich, $4 Basket of Fries, Poutine for only $7, and many many more! Happy Hour is available seven days a week. For parties of 10 or more, call for Reservations at 808 537 2222. Full service bar with a large selection of Craft Beers, over 300 choices of spirits, and the cheapest Happy Hour in downtown, Honolulu! Large TV's are located on every corner for viewing, perfect for Sports Fans! now serving: "the impossible burger"
"Our burger is made from all-natural ingredients such as wheat, coconut oil, and potatoes. 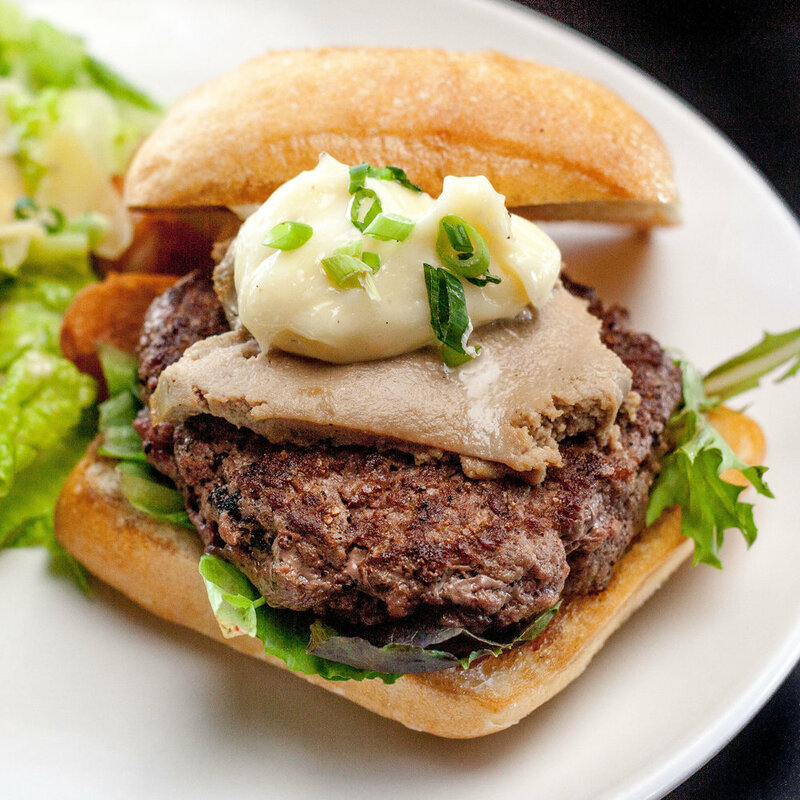 What makes the Impossible Burger unlike all others is an ingredient called heme. Heme is a basic building block of life on Earth, including plants, but it’s uniquely abundant in meat. We discovered that heme is what makes meat smell, sizzle, bleed, and taste gloriously meaty. Consider it the “magic ingredient” that makes our burger a carnivore’s dream."